At Casa Pampa you will find a comfortable spot to catch up on your readings, have a good rest on the hammocks between surf sessions and breathtaking sunsets. 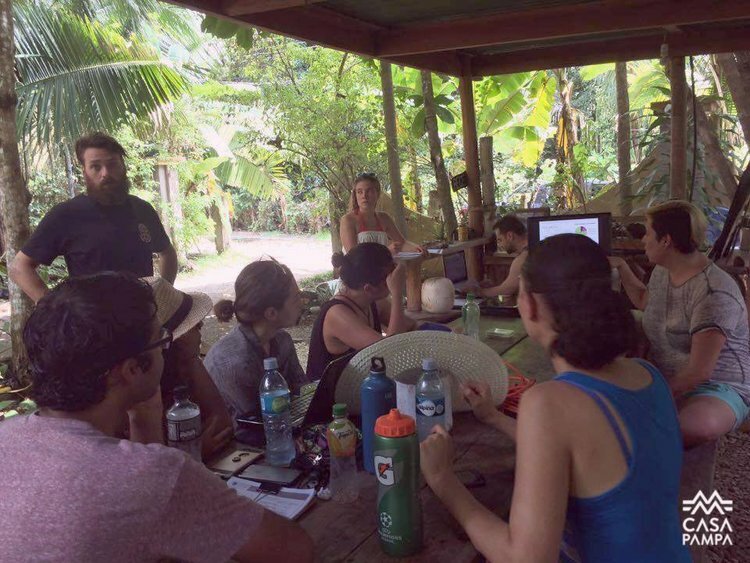 Casa Pampa Santa Teresa is a Permaculture Learning Lab for sustainability and environmental awareness at the Nicoya Peninsula in Costa Rica. Hello! My name is Shaun O'Connor. I am a native of Indiana in the U.S. I have been traveling and surfing in Santa Teresa for the better part of a decade each winter (Costa Rican summer.) This “summer” I had the great opportunity to volunteer with Casa Pampa in their endeavor to create a thriving organic garden at the local school.